For an affiliate-marketing blog or site to be a success, a high ranking in Google’s search results is essential. 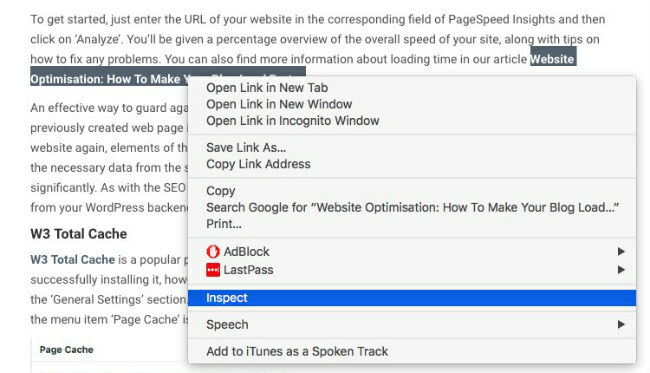 So, as well as creating high-quality content and having given your site’s SEO a boost through on-page optimisation, you should also take care of off-page optimisation, too. This takes the form of ‘link building’ – having sites linking to your website broadens the reach of your site, and helps improve the Google rankings for your own website. The term ‘backlink’ simply describes a regular hyperlink – a link which, when clicked, leads from one website to another. The backlink is really nothing more than a reference from webpage A to webpage B. The kind of backlinks we’re specifically interested in here are ones where the operator of webpage A recommends the content of webpage B to their visitors on a certain topic, by providing a link. Backlinks help Google to decide on the relevance of a website; they’re usually a reliable indicator of high-quality content, because, as already mentioned, a backlink is a kind of recommendation that a website makes for another website. Since website operators usually only link to websites where the content offers a useful added value for their readership, backlinks from trusted, high-quality websites are of prime importance for Google – get these and they will definitely help you to achieve a better ranking. In truth, any quality backlinks to your site gained over the years will help your website’s ranking. But relying on this scattershot process can take a long time. The magic wand here is ‘link building’ – in which you actively seek out backlinks to your website from quality, relevant sites, in order to improve your placement in the search results. Link building is a part of off-page SEO optimisation. However, a fundamental part of link building is to take the time to include clear and targetted ‘anchor text’ with your links – this anchor text contains the description of the link’s target in text form. This anchor text should be written so that it describes the content of the link’s target website in the best possible way. If it does so, a potential visitor to the website can quickly see what content is behind the link. Anchor text helps search-engine crawlers to more easily match the content behind a link to the relevant topic in a search query. To avoid being penalised by search engines, however, you should always ensure your anchor text is ‘natural’ – for example, don’t solely use anchor text such as ‘click here’. The best practice for the ideal way to approach anchor text changes over time; up until recently, the motto was: the more backlinks that use the desired keyword as anchor text, the better. Today, however, using ‘natural’ and varied anchor text and securing high-quality backlinks from websites with a medium-to-high visibility are considered higher priorities. Good backlinking does not depend on amassing a hgh number of links; instead, it is built on securing high-quality backlinks. Websites today which amass many low-quality inbound links to their site can be suspected of ‘link spam’, and can incur a penalty from the search-engine providers: this can even, in extreme cases, lead to a site being removed from Google’s search index. So it is much more important to focus on link building that grows naturally. There are several strategies for actively building backlinks, which we’ll cover in the course of this article. First of all, however, let’s look at what constitutes a high-quality backlink, and how you can develop a sense of the prerequisites for a good, and also a bad backlink. Since backlinks refer from one website to another website, you should make sure the websites you link to have relevant themes and suitable content for your audience. A topic’s relevance plays a central role, because if you get too many backlinks from websites with irrelevant content, Google and others may see this as an indication of an unnatural backlink profile. In addition to the topic relevance in itself, the website a backlink targets should also provide current, up-to-date information, because Google and co are becoming increasingly adpet at recognising how relevant the content of a website is on a particular topic. Another important evaluation criterion for a high-quality backlink is whether it falls into one of two categories: DoFollow or NoFollow. A natural backlink profile usually has both NoFollow and DoFollow links, but you can generally assume that a DoFollow link is much more valuable for a search engine’s ranking system than a NoFollow link. Afterwards, you look at the blue marked link a little closer. Here is an example of a NoFollow text link: Here, the same link was set to NoFollow, which you can see from the inserted relation rel=”nofollow”. 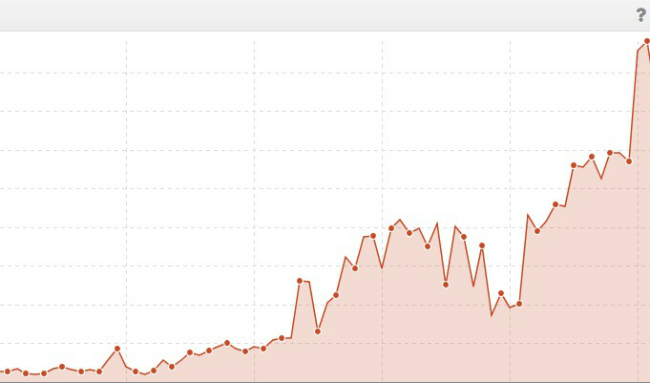 You can see the current visibility index of any website after logging in to SISTRIX Smart for free. The quality of backlinks on your website can best be analysed by adopting a ratio-based approach. For this, it makes sense that you look at the visibility index of your website and pay attention to any negative fluctuations in the graph, or specifically, any negative trends. A downward trend suggests that the webpage is decreasing in visibility: as you can see from the graph in the example below. There is no significant loss of visibility of over 50% within a few weeks – if this is present, it could point to a Google penalty. The website is outdated, with poor usability. You do not necessarily have to check every new backlink against the quality criteria we’ve mentioned above, because, for example, if you leave a comment in a forum, it should be set to NoFollow anyway. In a guest post that you publish on another website, which includes an embedded backlink to your own website, it’s a different story: because in this instance, in contrast to a contribution to a forum, a contribution to a low-quality or irrelevant website can sometimes have a strong negative impact on the rankings of your own site. Also, you should always weigh up the considerable time required to write a guest contribution and decide whether it’s worth your while. As well as including high-quality backlinks, the essence of a successful website is good content. This means up-to-date, relevant content that offers your readers true added value. High-quality content is by far the most important thing to focus on to ensure the success of a website; it’s even more importnat than securing good backlinks. The type of content you create for your website depends on the theme of your website, but you should always strive to create compelling copy that your users will return to. For example, if you run a sports-related webpage, you could create a category where you write about different training exercises for different sports. You could also include a category for sports accessories, in which you publish product reviews. In any case, your content should be varied. Avoid filling your website with product reviews that include too many Affiliate links. Too much of a hard-sell approach will result in readers and search engines treating your content as though it’s spam. Always ensure the content you include is diverse and targeted. By copying and pasting third-party content, you are committing a copyright infringement. Also, search engines can recognise duplicate content and can penalise your website by removing your site from their rankings altogether. Don’t hesitate to represent your own views and opinions in your articles. After all, this is your website – and your readers will appreciate your forthright approach, so long as you justify your views in a sensible, balanced and not sensationalist or inaccurate way. Keeping your posts to within a certain ‘minimum length’ in order to ensure they’ll be well placed on search engines is a myth. Write content that will provide your readers with the information they are looking for – the number of words doesn’t matter. Using your own bespoke imagery and videos to supplement and illustrate what you’re writiing about is a huge help for creating compelling content. This can be applied to all types of content, too, not just product reviews. Make sure new posts appear regularly on your website. A high frequency of new posts is recognised by search engines and helps you to achieve better ranking in the search results. While we’re on the subject of backlinks, always remember that your content should be so good and thematically comprehensive that you would link it yourself, if you were to read the content on another website. Securing backlinks for quality content requires that you do more than just create and publish articles on your site. Social networks offer you the opportunity to bang the drum and to attract potential readers to your site. Create profiles on Facebook and other social-media platforms where you can post articles which include links to your new articles and content. Be active on Facebook or Twitter, and always be mentioning your articles in your posts and tweets. In doing so, you build up followers who may share or re-tweet links that you publish. By doing this, you’re helping to spread your content and links far and wide, and increasing the likelihood of securing backlinks. Unfortunately, links posted in social-media accounts are NoFollow links, but they help you to build up a good mix of different links. However, it’s a case of give and take: it’s not enough to promote your own content – you should also comment on, like, share or re-tweet the contributions of other users. You can also integrate voting buttons on your website by using various social media plug-ins available in WordPress, to encourage your own readers to help disseminate your content across the social networks. If you manage to arrange for a ‘guest article’ to be published on a well-known website or blog, you will not only get a lot of attention, but also a valuable backlink. And if you’re the owner of a smaller website, providing guest articles as an expert often helps your own site to be regarded as an authentic, user-friendly website with high-quality content. A good guest article will not only cover a complex topic in an expert way, but will explain complex concepts and information simply and vividly, offering added value for the operator of the host site. So make sure you do your research when writing guest articles: ensure you don’t repeat a topic that’s already been covered. Offering something for free is often a very effective way to secure backlinks: be it a comparison table, a checklist, an eBook or the like, free offers are often linked to by website owners for the benefit of their own users. Again, ensure you provide true added value and that your content is relevant to the subject of the website. Simple, but effective when it comes to the subject of building backlinks, is linking to a high-quality directory, which contains thematically appropriate websites. With relatively little effort, you can have your website listed and receive a high-quality backlink in return. Interviews are a welcome change of pace from most website content, and if your website is already well known, you’ll often receive a positive answer for any interview request. Depending on how well known the person doing the interview is, you could also receive backlinks from other websites among the host site’s readership, because website owners often link to interesting interviews. And of course, as the interviewee, you can also link to the interview and you can call another backlink your own. If you’re running an affiliate website that features detailed test reports or high-quality review content, it’s an especially good idea to contact manufacturers requesting that they link to your review or test report – manufacturers are often willing to link you as a reference for their product. this doesn’t mean that your review has to be 100% positive, either; manufacturers often prefer a credible test report which may include criticism or suggestions for improvement. However, a professional-looking website is a must if you’re hoping that your request is rewarded with a backlink. When you’re starting out, approach smaller or lesser-known manufacturers, as they’re most likely to grant your request. Another way to secure backlinks is via link exchange, in which you agree with another website operator to exchange a link. To avoid being penalised by search engines, you should never exchange links directly, because this will result in an unnatural link exchange. For example, website A should link to your website B and in return, you should link back to website A indirectly, from your thematically appropriate second or third website. By using this method, no direct link exchange has been established. A link exchange is a good way to secure a backlink, especially if you have more than one relevant website. Are there people in your circle of friends who run their own websites? Ask around; questions cost nothing and with a bit of luck, you may secure a backlink. There are a number of well-established question-and-answer sites online, such as Quora, Ask and others. If your website specialises in a topic, you can be notified by these Q&A sites as soon as new questions about your topic are asked. Again, as with the blog comments we covered previously, write detailed and helpful answers – not just a short sentence. If you answer lots of questions over a longer period of time, your profile will gain authority and trust and you can begin to add links to your website to relevant questions. If you habitually create many links to other relevant sites on your own website, in order to provide your readers with information on a specific topic, you will usually get many backlinks in return, as the owners of the sites you link to will become aware of you. A few years ago, the motto was: the more backlinks your own website has, the higher the probability that it will rank well within the search engines. Today, however, the best recipe for quality backlinks is a good link mix of DoFollow and NoFollow links from high-quality websites – with high visibility a must-have. High-quality content is – and remains – the most important thing to focus on in order to secure backlinks, because the methods shown in this article are mostly aimed at receiving a backlink indirectly, by virute of creating a compelling website in the first place. Of course, this approach may be time consuming, but it’s ultimately the most successful way. It’s also important that you can judge the quality and the visibility of websites in order to establish whether they’re worth receiving a backlink from. Your chances of securing successful high-quality backlinks also increases if you combine several of the methods presented here with each other.